How can regular 'functional training' exercise techniques help with senior fitness in the UAE? Functional fitness for the elderly in Abu Dhabi and Dubai can help with maintaining mobility and improved fitness levels. No need for special exercise equipment or visits to the gym - functional exercise for seniors can be done at home. Seniors and the elderly in Dubai, Abu Dhabi and Sharjah are increasing their awareness of different exercise techniques which can help them stay fit, healthy and mobile in their senior years. Functional training is a great way to increase mobility and help seniors remain independent. Many seniors in Abu Dhabi lead a sedentary lifestyle and get little to no real exercise on a daily basis. This can lead to many health problems including mobility issues. Functional training can help with mobility, strength and general everyday fitness but functional training in Abu Dhabi is not a term many are familiar with. As a personal trainer in the UAE with experience in senior fitness and functional training what are your top 10 functional training exercise routines when working with seniors and can you provide details how each benefits the different areas of the body. Functional training provides the execution of free body exercises that activate the entire body. Functional exercises take care of every aspect of athletics: strength, power, speed, coordination, agility, balance. No machines are used in this kind of training but equipment like Elastic bands, fittballs, med balls, bosu, Kettlebell etc can be used. Functional training is perfect for seniors in the UAE. The lean mass in the elderly is less and therefore decreases, compared to a young person. Consequently the fat mass tends to increase, the body water decreases and the basal metabolism also decreases. In the elderly we will have neuro-endocrine changes. There will be a spring in the level of HGH (growth hormone) and an increase in cortisol. 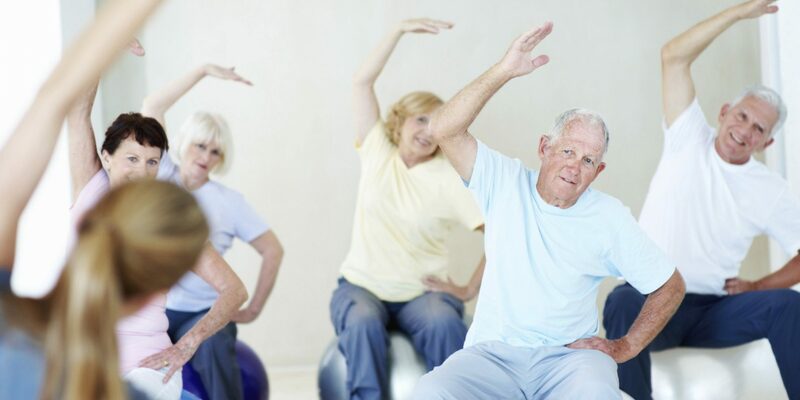 Considering the change in body composition (decreased stimulation of bone turnover and decreased formation of osteoblast cells), which is physiologically stimulated by the lean mass and the endocrine system, the training for the elderly becomes a real medicine. Functional Training proposes daily gestures in their full range of excursion and it leads to a much faster and higher increase and improvement of other training .Seniors need to improve muscles and joints working on Mobility, flexibility and Strength. Functional training in the UAE also improves also the posture. 1) Hip and Thoracic Openers. Is one of the most important exercise during the warming up part. Peoples hips are always more frequently (for sedentary lifestyles) stiff and with limited mobility.This functional training exercise open the hips and strengthens the core muscles and improves mobility in the upper spine too. Another important dynamic exercise during warming up part.It works on the shoulder stabilizers and on the core stabilizers. Is one of the best exercise for ABS. It massively strengthens the abdominal muscles and also positions the spine in a stable position. Dumbbell reverse lunge with rotation is a good exercise to work the lunge pattern, the lunge movement, and also to get some rotation in there as well, which helps to activate the core muscles. A verypowerful core exercisewhenperformedproperly and alsogreat for building the back of the body.Uses the stability of the axis and the strength of the core to maintain the position and raise the elbows alternately. The Plank is the mother of the core/abs exercises.It is a simple exercise to perform and is the best way to train your abs. The fact that it is simple to perform is not that which is less effective than others.Training with the PLANK means to stimulate the whole body or the muscles of the abdominal italics (rectus abdominis, external obliques, internal and transversal obliques), spinal erectors, lobe square and pelvic floor.Useful for backbone problems and pain.Improve the flexibility and posture. One of the best exercises to improve legs and glutes muscles tone.The correct execution of the squat requires a large synergy between numerous muscle groups, each of which relaxes and contracts in specific phases of the movement. This exercise also requires good joint mobility, often completely inadequate in sedentary or deconditioned people.For this reason it is advisable to use a bench or chair the first times to get used to the movement and to shift the weight on the back of the body. Excellent exercise to open leg, hips and stretch the inguine. Is a dinamic variation of the plank.How the plank it helps the stabilities and improve the abd the pectorals and the shoulders strengthen, improve the balance (hence the name “stability of the core”) and to balance the relationship of force between the lower trunk and the upper one. 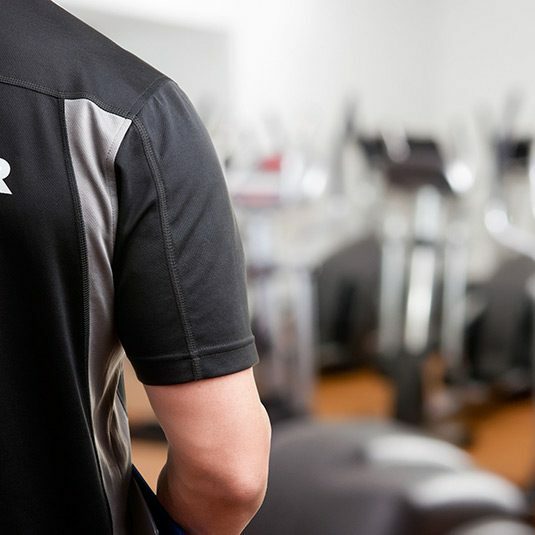 Abu Dhabi Personal Fitness Coach Fabiola is an all-round fitness expert and has achieved a Level 3 Certificate in Personal Training and Level 2 Gym Instructor. As a personal training and nutrition expert Fabiola can help you achieve your health and fitness goals using a wide variety of training techniques. You can view Fabiola’s full Abu Dhabi, UAE personal trainer profile by clicking the link below.